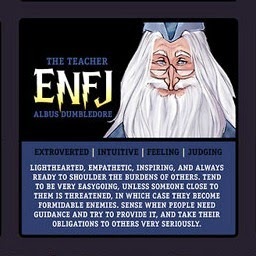 Guys, I have stumbled across the best thing ever: the Harry Potter Character Myers-Briggs Personality Types. You may have heard of the Myers-Briggs personality test: it asks you a bunch of questions, and at the end you get a 4-letter score that describes your personality. It also gives you career choices that suit that personality type and example of famous people who share your type. I did that test as part of Blogtember back in September, and according to it I am an ENFJ - an extravert that is intuitive, feeling and judging. 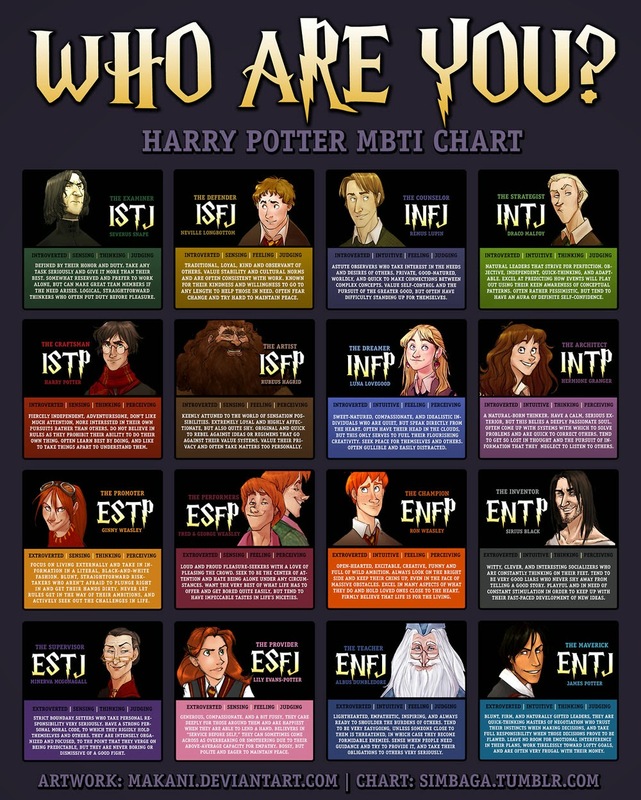 As much as it thrills me that I am sharing this type with Johnny Depp, Sean Connery and Barack Obama, the real question is: which Harry Potter character am I?? Harry Potter is sort of a big part of my life, as strange as it may sound. I have read the books over and over, because I love the magic world (who doesn't) and find so much wisdom in them. I have my doubts if I answered all the questions correctly, because - teacher? Me? But who cares, I'm Dumbledore, and that rocks. He is my favourite character from Harry Potter! Take the test and find out who you are! Dumbledore is a great character. somehow I am Snape. I don't think the test questions are eally fair as I can answer either way. anyway, a fun way to waste some time. INFP - so I'm Luna!